Over half of the world’s population were Internet users by the end of 2017.1 That’s over 4 billion people just a click away from your website. This huge online audience is your ticket to increased sales. How? Through international search engine optimisation (iSEO). The digital age makes it easier than ever to increase sales through international marketing. iSEO is the key to targeting your online marketing in the right place, to the right customers and in the languages in which they browse the Web. With iSEO, you generate global sales without leaving your office. But what is international SEO, why should you invest in it and how can you get started? International SEO is the process of targeting your online presence to particular countries and languages. It helps you bridge the gap between where your website currently is (domestic and English speaking), to where your potential customers are (international and multi-language). Well-executed iSEO maximises the likelihood of your brand appearing in the search results for a given country and ensures that searchers see your pages in the correct language. In other words, iSEO gets your pages in front of international customers so that they’re made aware of your brand and are presented with your products and services as a purchasing option. That’s an enormous amount of people looking online, and abroad, for their products and services. In fact, the UK now accounts for only 4% of world trade, meaning you’re missing out on business from all over the world if you don’t have a strategy for entering foreign markets. As a global marketing strategy, iSEO takes advantage of worldwide Internet use. It gets your online presence in front of a targeted audience and takes your customer base from domestic to global in a few steps. There was a time when this sort of international reach could only be enjoyed by companies that could afford translators. Thankfully, advances in translation tools mean it’s now possible to reach international customers at a fraction of the cost of mother-tongue translation. There are 1.5 billion people that speak English worldwide, many as a second or third language, and they’ll be happy to trade in English once they’ve found you. Nonetheless, iSEO ensures your online presence exists in their preferred languages in the first place. With more people online every day, and the improved effectiveness of translation tools, it’s a great time to invest in an iSEO strategy that brings the benefits of international market entry to your business. iSEO helps your business boost brand awareness, increase visitor traffic and generate sales leads. If search engine results pages are the high streets of the Internet, then effective iSEO is like having a great shop front in a prime location—it gets you seen and encourages browsers to come in. High rankings are one of the main things international SEO delivers. In particular, a multilingual SEO strategy takes advantage of the fact that foreign language search is far less competitive than English. Because fewer brands are creating and publishing content in multiple languages, it’s easier for your pages to rank highly. By using iSEO techniques and tools to help your pages appear highly in foreign search results, your business gains a global brand awareness that would otherwise be hard to achieve. iSEO is a cost-effective route to selling existing goods into new markets. Creating new products for your domestic market requires significant investment before you see any returns. Better, then, to sell existing products and services into new markets, where your brand may be unique, better value or face less competition than at home. As a digital route to market, iSEO also allows you to enter new markets without the overheads associated with a physical presence in other countries. With no overseas staff, offices or travel, your market entry cost is lower, and you incur less risk for more revenue. With iSEO, you retain 100% control of your brand. By conducting your global marketing via the Internet, you can choose to remove overseas agents, partners and third parties. Your products, advertising and reputation remain firmly in your hands. The latest neural translation engines, as used by Export Worldwide, are so affordable and efficient that you can tailor your international digital marketing to multiple languages at the same time. Increase your customer base from a single market to several. Spread business risk, as success doesn’t depend on the health of any one market. Identify your ideal markets as a result of what you’re already selling rather than incurring the high cost of market research at the outset. The right international SEO strategy helps you enter overseas markets without the costs and risks of traditional methods. Which products and services do you want to sell? Which customers do you want to sell to? The latter involves identifying the regions and languages that you want to target. The traditional way of doing this is through expensive and time-consuming market research before you start selling. However, Export Worldwide, a global SEO platform, uses a cost-effective translation tool to generate your content in the 20 languages that make up 84% of world trade. 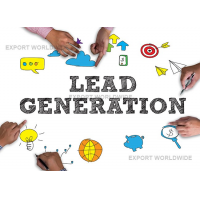 By marketing in multiple languages from the outset, you generate valuable data that identifies your ideal markets once you’re already making a profit. Decide how to implement your online presence. You could build you own international sites, or you can host your pages on an existing multilingual platform. The first certainly works, but it involves significant time, expense and technical competence to target your website(s) to multiple countries, regions or languages. Alternatively, hosting your pages on an existing platform provides the benefits of an international Web presence, but it’s faster, easier and can be more cost-effective than doing it yourself. A good multilingual SEO platform will have a track record of achieving first page rankings for customers’ pages. If you already have international sites in some languages, then an existing platform can act as an additional marketing channel, providing you with greater brand awareness without the investment required by your own new sites. Effective content begins with search term/keyword research. 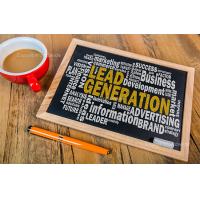 This involves using online tools to identify the words and phrases that potential customers use to search for products and services like yours. Search term research is a vital part of the iSEO process. Structuring your pages around relevant terms increases the likelihood of your pages appearing in relevant consumer searches. Once you’ve identified the best search terms for your business, and written your content around them, you need to choose a translation strategy. Mother-tongue translation achieves the best results, but the cost can be prohibitive and make it impossible to target multiple languages at the same time. Hybrid machine translation provides an effective and affordable alternative. This involves feeding simple, well-written English into the best translation engine available and checking the results with a human proofreader. You get translations of your content in the fastest, most cost-effective way possible. You can do several things to improve the visibility of your content. First, you can boost the search engine ranking of your pages by gaining links from other sites to your own. Known as backlinks, search engines count these links as votes for the quality of your content. The more links you have from authoritative, relevant sites, the better your content is assumed to be and the higher it will appear in search results. Be aware that backlinks must be from related sites to be seen as legitimate, and links from some sites carry more authority than others. This is dependent on the authority score of the linking site, which is, in turn, determined by the amount of inbound links that site has. Any number of online tools can tell you the authority of a given site. In practice, focus on gaining links from relevant sites which are well ranked themselves. Second, don’t just rely on search engines to get your content found, tell people it’s there. Social media promotion gets your content in front of a huge audience. If Facebook was a country, its 2 billion users would make it the largest in the world.14 Not to mention Twitter, YouTube, Linkedin and the countless domestic platforms that are dominant in their own countries. People love to share quality content and products with others, who, in turn, share it further. When this happens, your brand becomes known on a scale that would be otherwise difficult to achieve. International digital marketing generates valuable market data: observe the countries that account for your traffic, see which content is the most effective, analyse how people find your site and much more. Never before have business owners had so much information with which to identify their ideal markets and adjust their global marketing. Understanding and using this data is the key to increasing sales in the long-term, making your growth sustainable as you identify and react to trends in your online traffic. These five steps are the foundation for an effective iSEO strategy. However, it’s not uncommon for a company to lack the in-house resources to build and maintain an international online presence on its own. If that sounds like you, then get some outside help. With the right global SEO service, anyone can reach international customers and increase sales. Using a multilingual platform can be more cost-effective than building your own international sites. 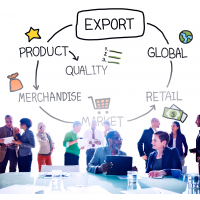 Export Worldwide helps SMEs enter and succeed in foreign markets. As a multilingual iSEO platform, Export Worldwide provides microsites for your products and services in the 20 languages that account for 84% of world trade. Your microsites achieve first page rankings and attract international traffic, generating global brand awareness for your business. Through a service developed out of tried and tested global digital marketing techniques, the platform makes it easy to create, manage and improve your multilingual content. Highly measurable: The Export Worldwide platform provides detailed market analysis. Access your analytics at any time and receive monthly reports on your rankings, traffic and leads. Low risk: As a digital route to market, the platform avoids the overheads and risk of a physical presence in other countries. By targeting 20 languages simultaneously, your success doesn’t depend on the health of any one market, increasing the stability of your business. Low cost: Export Worldwide makes iSEO cost-effective. By hosting your pages on the platform, you gain an international presence at a fraction of the cost of building your own international sites with mother-tongue translators. 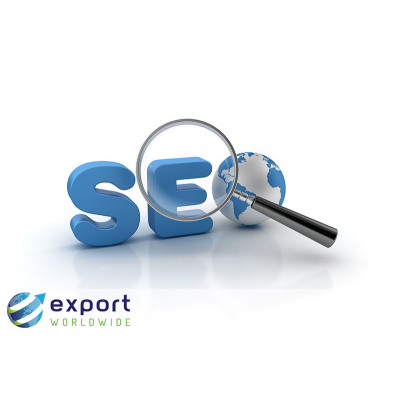 As a global SEO platform, Export Worldwide provides keyword research, copywriting, multilingual microsites and more—saving you time and money. 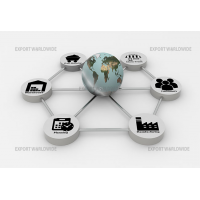 What Services Does Export Worldwide Offer? 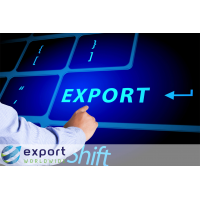 Export Worldwide’s services are available on a pay-by-use basis. Choose the DIY package to conduct your own search term research and copywriting. Alternatively, choose one or more bolt-on services to benefit from the experience and expertise of the Export Worldwide team. 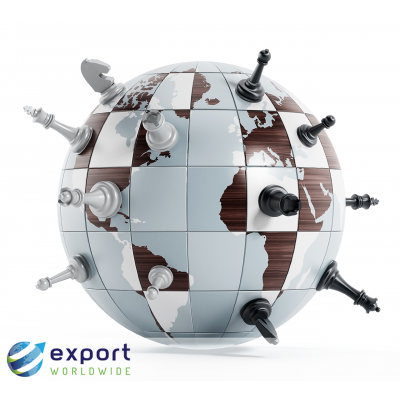 Export Worldwide is well-established in international search results. By hosting your pages on the platform, they rank highly far more quickly than if you built your own international sites. Expect a knock-on effect for your main website, too. 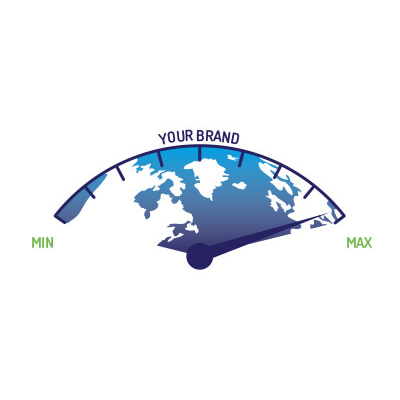 Customers have seen traffic growth of up to 20% on their own website as a result of the brand awareness Export Worldwide has given them.16 Links from Export Worldwide also boost your site’s authority, increasing its search engine visibility. Export Worldwide’s patent pending translation tool is the fastest, most cost-effective way of achieving an accurate translation of your content. By taking a hybrid approach, which combines the speed of a translation engine with a human proofreader, you get international content at a fraction of the cost of mother-tongue translation. Through a proven process of research, consultation and shortlisting, the Export Worldwide team can identify and recommend the best search terms to target with your content. Localised search term refinement is also available, ensuring that your pages are structured around the most relevant keywords for a given language. Export Worldwide’s copywriters are experienced at writing for companies from a range of sectors. Export Worldwide’s expertise in writing for translation, which achieves the best results for your pages. Effective product and service descriptions that engage and convert customers. Pages that are fully-optimised for iSEO, helping them appear highly in search results. Analyse the countries and languages that account for most of your traffic and leads. Track the ranking of your pages for your target keywords. Observe which products and keywords have received the most views. Compare the number of visitors each month, including where they come from and the languages they speak. Understand how visitors find your microsites and how they behave once on the platform. Analyse conversion rate by language, product and search term. You can access this data at any time. You also receive monthly reports by email to help you track your key performance indicators. Once you’ve used this data to identify your ideal markets, you can choose to refine your content using mother-tongue translation. By doing mother-tongue translation retrospectively, you save money by investing only in the languages that you know will be profitable for your brand. Publish your own articles on the platform and translate them into 20 languages. Alternatively, commission Export Worldwide’s copywriters to create inbound content for you. Inbound articles answer the questions that your target customers are asking. This builds trust with consumers and positions your brand as a credible, authoritative voice in your industry. 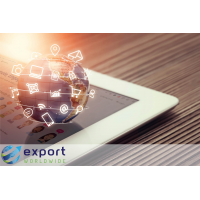 Export Worldwide can produce content on a range of topics that targets customers at each stage of the buying process, driving traffic to your pages and boosting sales in the long term. 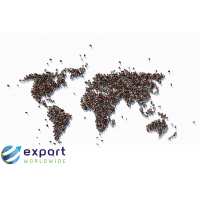 Export Worldwide knows exactly what it’s like to be an SME with global ambition. 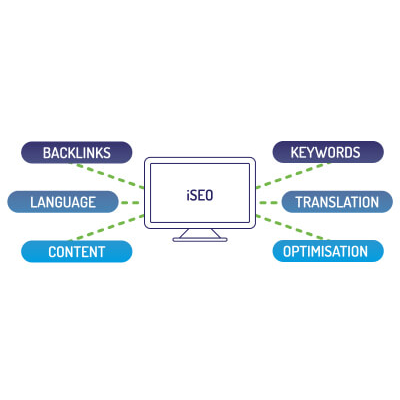 Developed out of tried and tested iSEO techniques, the platform makes the process of international SEO cost-effective and achievable. 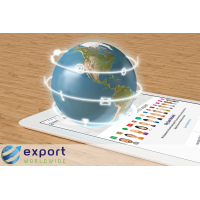 Contact us today for a free demo of the platform and a no-obligation chat about how Export Worldwide can help you enter international markets.